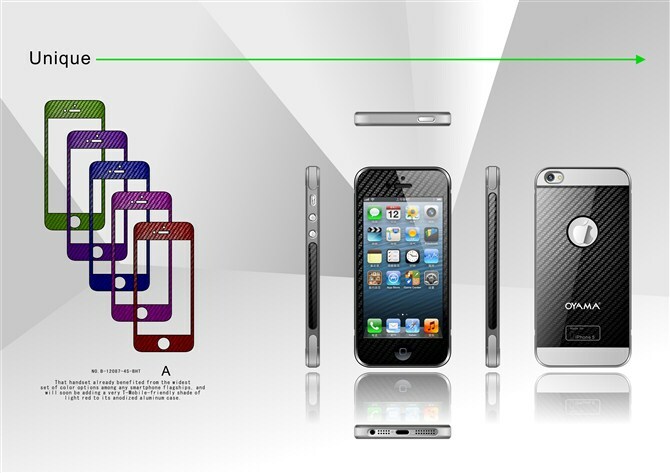 New and improved carbon fiber case for new iPhone 5, it fits the new Apple iPhone 5, The new fit and finish provide exotic sports car styling with sophisticated luxury comforts. With the experience in make the carbon fiber case for iPad 2 and iPhone 4/4s, the carbon iPhone 5 was improved, the material structure of this new carbon fiber iPhone 5 case is different, it is made of PC, ABS and carbon fiber materials, the design creates an amazing mixed carbon fiber look, perfect fitting on your iPhone 5, the weight is about 25g. 1. Black carbon, surface 3K carbon fiber fabric, plain weave, glossy/matte finish. 2. Blue carbon, surface 3K carbon fiber fabric, twill weave, glossy/matte finish. 3. 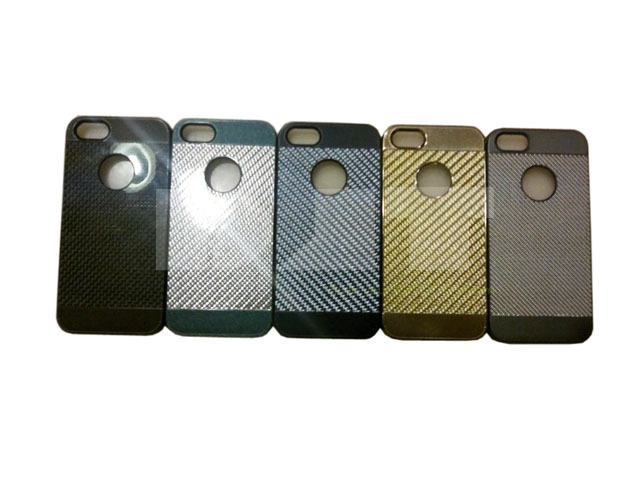 Gold carbon, surface 3K carbon fiber fabric, twill weave, glossy/matte finish. 4. Silver carbon, surface 3K carbon fiber fabric, twill weave, glossy/matte finish. 5. Pink carbon, surface 1K carbon fiber fabric, twill weave, glossy/matte finish. 6. Gray carbon, surface 1K carbon fiber fabric, twill weave, glossy/matte finish. Please email to info@djtcarbon.com for more information.